The winners include pianists, violinists, cellists and singers from Russia, Taiwan, France, U.S., Germany, Spain and other countries. They will perform around the world. Competitive rounds in almost every category resulted in hours of exciting musical battle, consisting essentially of a series of solo concerts from young musicians. A variety of personalities took the stages in Moscow and St. Petersburg during the three-week competition: romantics, virtuosos and thinkers. However, a special emotional intensity was brought to the performances of pianists in the Great Hall of the Conservatory. The scene began “uncomfortably,” as the jury weeded out the favorites from past contests. Past winner Alexander Lubyantsev failed to pass the “live” selection this year and Andrei Korobeinikov, whose performance of Beethoven's Sonata No. 32 was a bright musical event and collected a record number of views during the online broadcast, didn’t go further than the first round. But the very quality of the “victims” confirmed the high level of competition. The same thing happened in other categories such as violin and cello. This can be attributed not only to the introduction of the “live” qualifying round, which certainly raised the entire first round to the next level, but also to the emergence of a bright new generation of musicians. This new generation’s arrival was very apparent at the contest. Moreover, as the participants’ profiles show, this development is largely connected with the traditions of the Russian performing school. 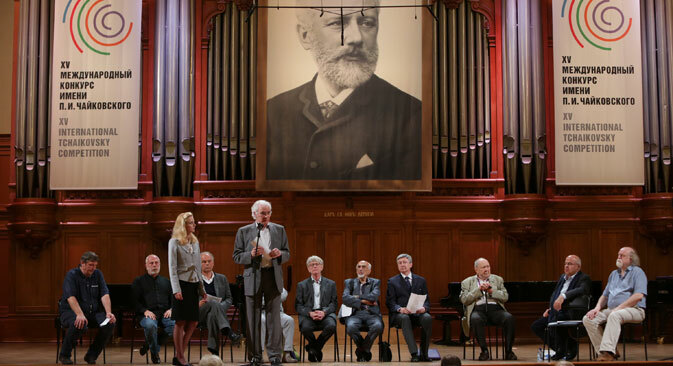 Although the competition has ceased being a mere parade of graduates from the Moscow Conservatory, many brilliant participants of this contest have been trained by Russian teachers at different stages of their development. They include all the finalists of the piano division – even George Li (U.S.), who was prepared for the competition by Maxim Mogilevsky, and Lucas Debargue (France), a student of Rena Shereshevskaya. The finale was a big challenge for all. In fact, it was a series of duels between the contenders – the melancholic and lyrical music of Sergei Redkin versus the phenomenal virtuoso George Li; Lucas Debargue, who rocked the audience with beauty and the depth of musical thought versus Lukas Geniušas, who brought a superb technical quality to his piano playing; Daniel Kharitonov, who charmed the public with his youth and simple, clear interpretations versus piano “magician” Dmitry Masleev. The competition attracted global attention: live broadcasts provided by the classical broadcasting service medici.tv were watched by more than 10 million people in 179 countries in 10,352 cities around the world. This is an absolute record for music competitions. I prize – Dmitry Masleev (Russia); II prize – Lukas Geniušas (Lithuania-Russia), George Li (U.S.); III prize – Sergei Redkin (Russia), Daniel Kharitonov (Russia); IV prize - Lucas Debargue (France). I prize – no winner; II prize - Yu-Chien Tseng (Taiwan); III prize – Haik Kazazyan (Russia), Alexandra Conunova (Moldova), Pavel Milyukov (Russia); IV prize: Clara-Jumi Kang (Germany); V prize: Bomsori Kim (South Korea). I prize - Andrei Ioniță (Romania); II prize - Alexander Ramm (Russia); III prize – Alexander Buzlov (Russia); IV prize – Pablo Ferrández (Spain); V prize - Seung Min Kang (South Korea); VI prize - Jonathan Roozeman (Netherlands). Female: I prize – Yulia Matochkina (Russia); II prize – Svetlana Moskalenko (Russia); III prize – Mane Galoyan (Armenia); IV prize – Antonina Vesenina (Russia). Male: I prize – Ariunbaatar Ganbaatar (Mongolia); II prize - Chuanyue Wang (China); III prize – Hansung Yoo (South Korea); IV prize - Dmitry Grigoriev (Russia).